Spend responsibly. Recommend this Trendy Item to you! But it does not work for those fashion girls who love dressing up, following the trends. They still go out with new outfit everyday, never play with themselves "bump unlined upper garment". However, do you really believe they wore each clothes only once? I visited many fashion websites, such as Lookbook, Blogspot, Youtube, etc. Finally, I found this item you must have! No matter what you wear inside, as long as you put on this one, your fashion feeling will be improved greatly. 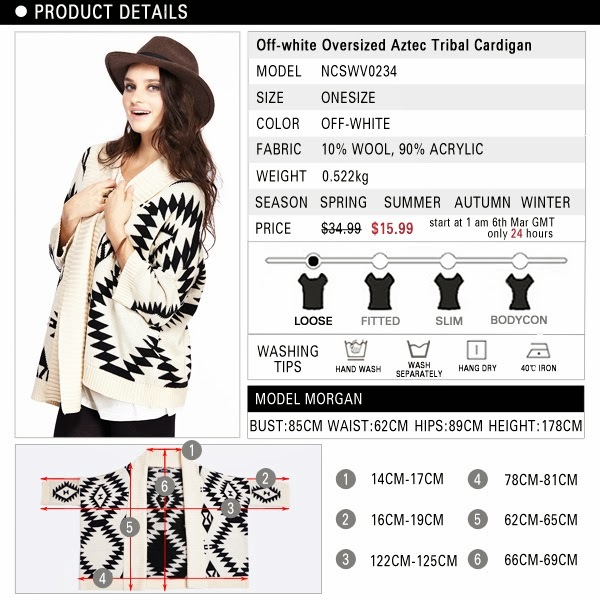 This is an Offwhite oversized tribal cardigan, featuring open front, shawl collar, ribbed trimming, wide batwing sleeves. Black unique geometric Aztec pattern on a knit wool-blend base. The relaxed open front and loose fit lend this style a sense of ease. This way, you can keep warm while still relatively looking stylish without adding the extra bulk of a sweatshirt or jacket. Have it, become the best Fashionistas in a second! 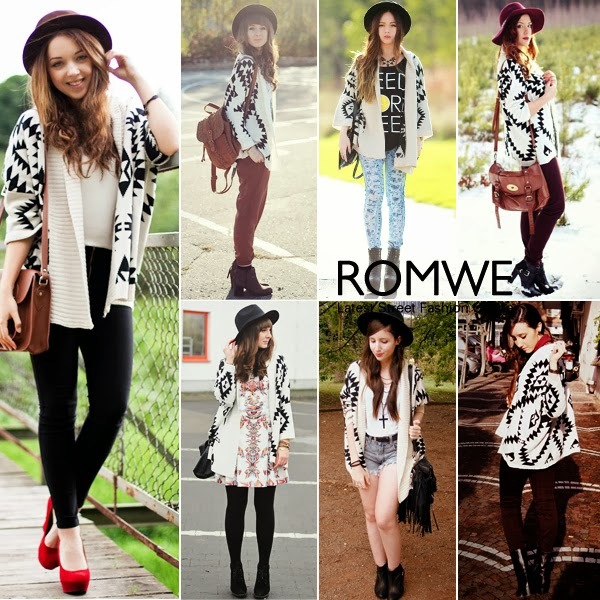 Tribal print cardigan has been extremely popular for the time being. It would be perfect to wear with your outfit during the Spring and Fall season, and Summer if it’s a little chilly. Free size for everyone.Not only you can use this cardigan but sometimes your mom can wear it too. You can pretty much style it with anything that’s solid color which makes it a flexible piece in your wardrobe. Random cooperate with pants, T-shirt,leggings etc. One In 3 Different Styles! Best Choice For Spring, Autumn, Winter! Add To Bag! $15.99 Only Valid 24h! Never Miss It! 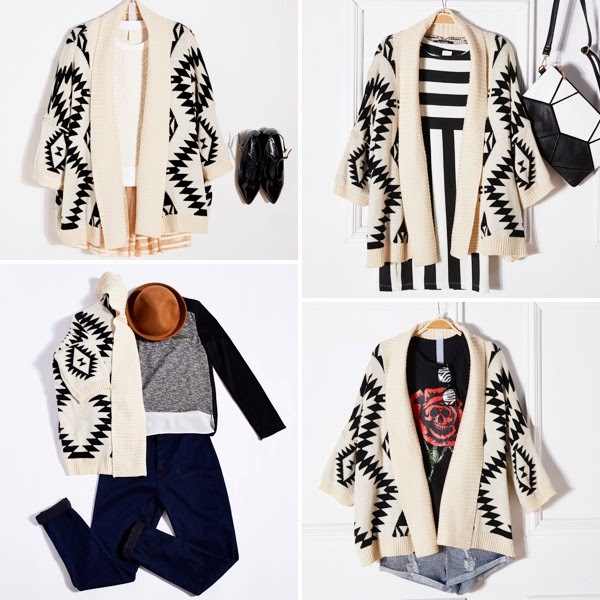 This cardigan will be $15.99 only on 6th March. Only 24hours!!! Don't miss it! !